Hey guys, sorry for not posting reviews lately, but I've been writing like a maniac for my first ever NaNoWriMo! I'm up to over 13,800 words and still going strong! 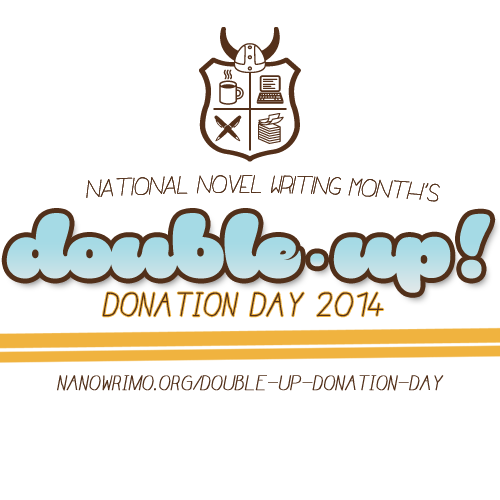 Today is double up day, so I doubled up on my word count, and I'm about to double up on a donation as well. Why don't you do the same?! I've been writing like crazy too.